Give to revive a language and save a culture. If the donation button does not work, please go to cart page to view(clear) your order first! Gives a child a textbook and the power to sustain the Lakhota language. Provides a youth with the full print version of the Lakhota dictionary. Gives a school a teacher's guide book and essential education materials for years to follow. 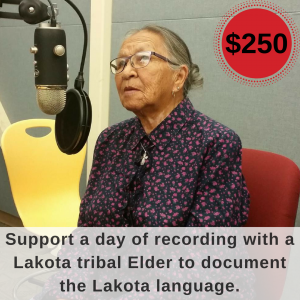 Supports a day of recording a last living Lakhota speaker to accurately document the language and apply the knowledge to apps and textbooks. 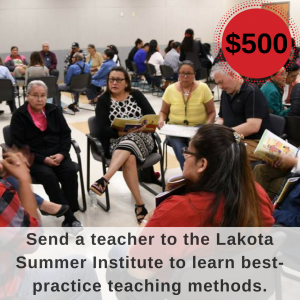 Gives an indigenous language teacher training in best practices, supports the recording of last living speakers, and helps to develop new learning apps. 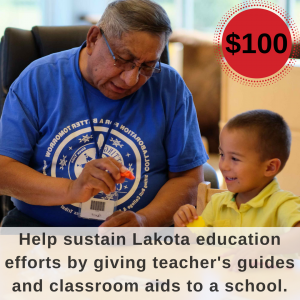 Your donations help support the conservation of various Native American cultures and languages. 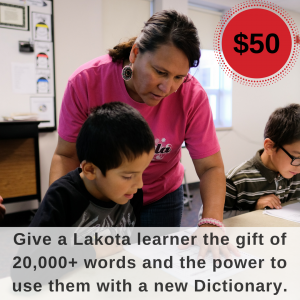 Donations to the LLC non-profit provide textbooks for students, materials for teachers, and backing for school across the nation.